Urban Survival Gear Survival Fish Hooks - Twin Pack | BUDK.com - Knives & Swords At The Lowest Prices! When you're fighting for survival in the wild, every scrap of food counts, and you can't afford to let a hard-won trout or bream give you the slip. 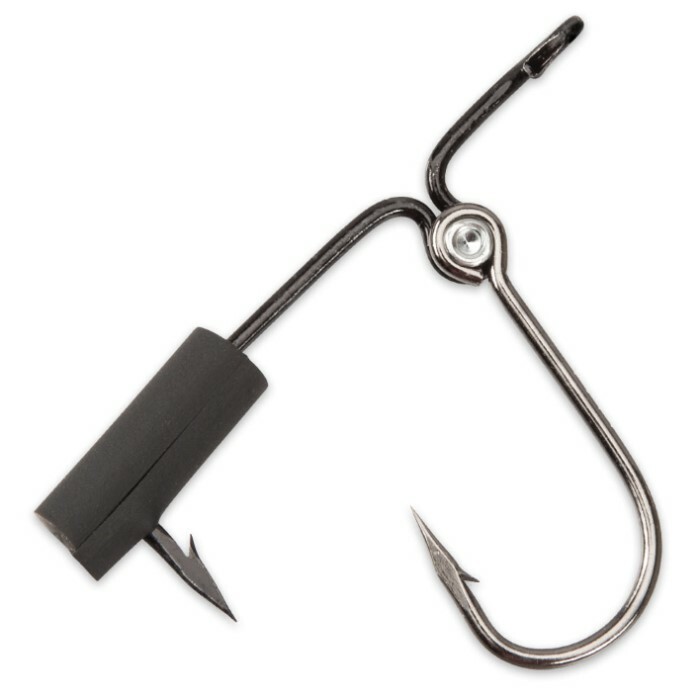 The survival experts at Urban Survival Gear designed these unique fish hooks for exactly this type of scenario - when a fish could mean the difference between life and death. 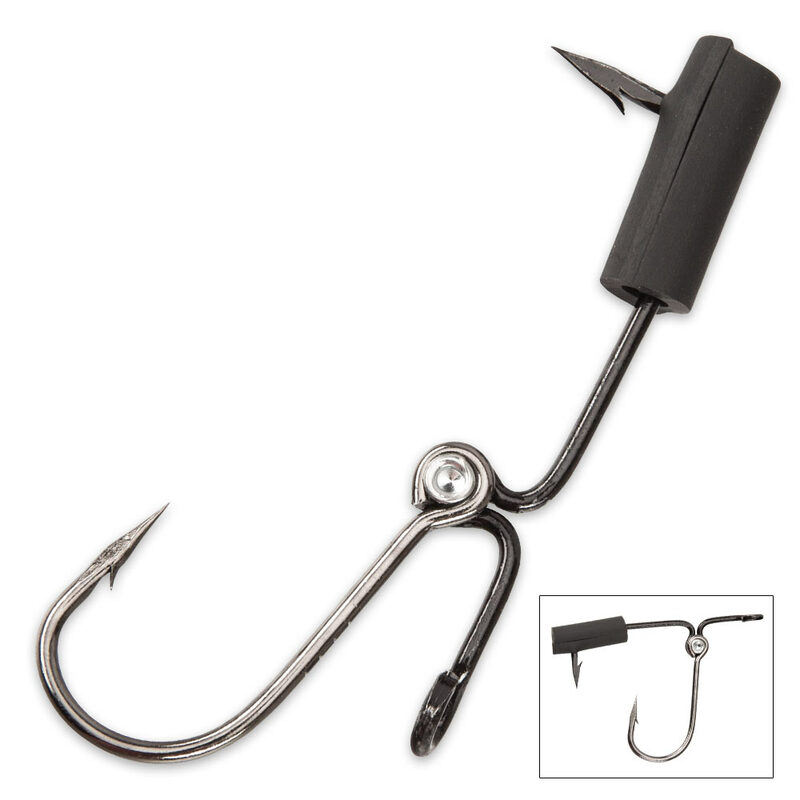 Utilizing a dual action hooking mechanism, each hook works like a pair of pinching pliers. When the fish strikes, the line hook is pulled down into the fish, holding it securely to the bait hook. This handy twin pack represents a fantastic value and is an essential part of any bug-out bag, survival cache or tackle box. Rest assured, as long as one of these survival hooks is on your line, you'll never lament about "the one that got away" again! I like these a lot! They worked perfectly when I tested them. Very good design. Very cool, but you can't tell stories any more about the one that got away! Great item, great design! These are now in my survival kit. Not too much "urban" survival as listed, but you never know!